Growing Together partners support an entire growing zone section within the nursery providing for trees, soil, water, supplies, volunteer necessities and general overhead. Partners are featured prominently in nursery signage, able to be viewed by nursery and Creve Coeur Park visitors and passers-by, print and social media. Your financial support ensures that tree inventory continues to turn over season after season. You enable us to get trees back out to the community where they are so greatly needed. Please note that 83% of funds go directly to services. Zones vary by quantity and size of trees. 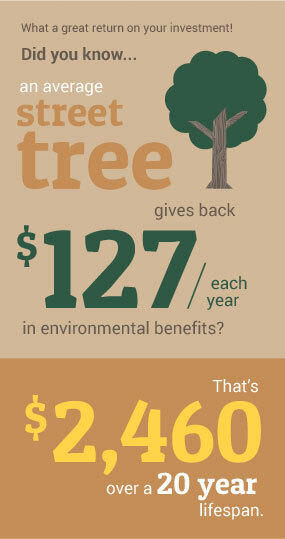 Please contact Forest ReLeaf for more information on how you can make this wise, lasting investment that gives back to the community at large year after year.